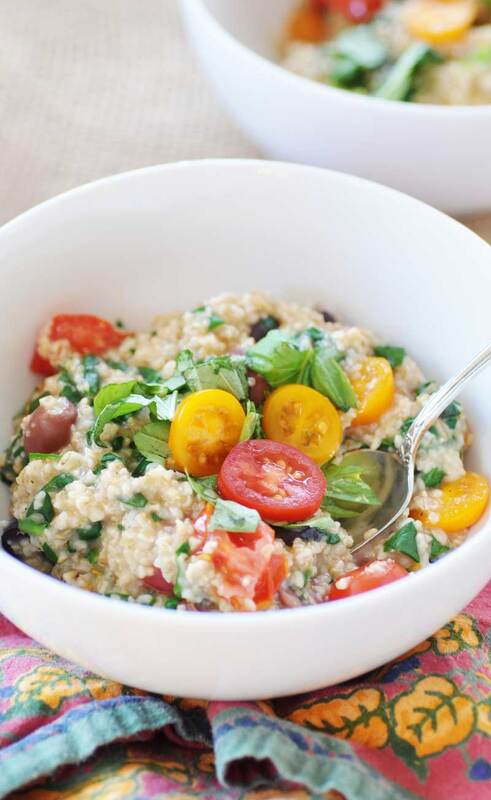 Take your oats to another level with this savory vegan Mediterranean oatmeal recipe. His answer to that was this savory vegan Mediterranean oatmeal. You’re probably thinking exactly what I thought when he told me that he was making oatmeal with spinach, olives, tomatoes, and basil. What in the world?! 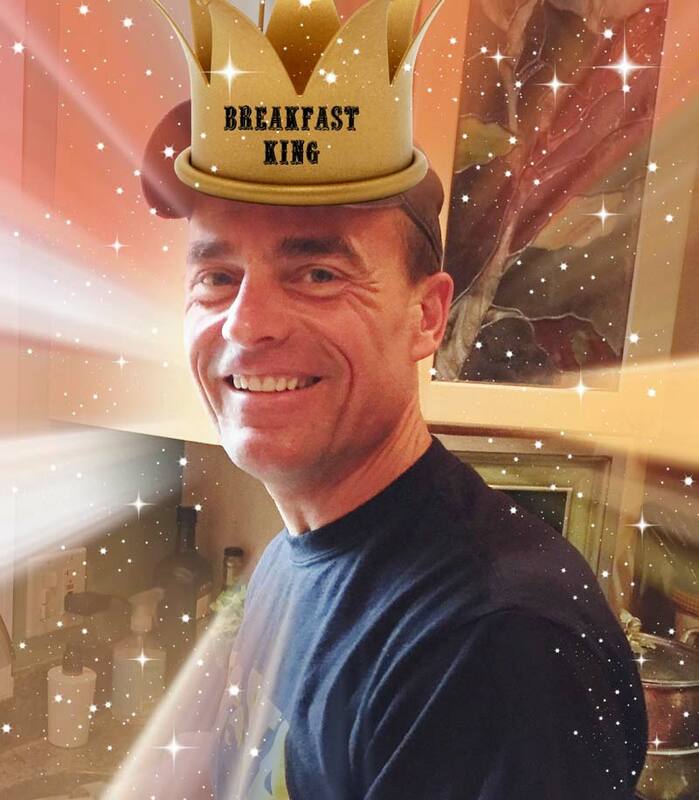 My skepticism only lasted a few seconds though, because the Breakfast King rarely disappoints. And today was no exception, because this delicious veggie oatmeal was incredible. We’re calling it a savory vegan Mediterranean oatmeal because it reminds us of a Mediterranean omelet. 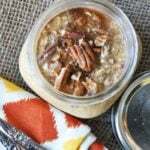 This delicious recipe is made with steel cut oatmeal. 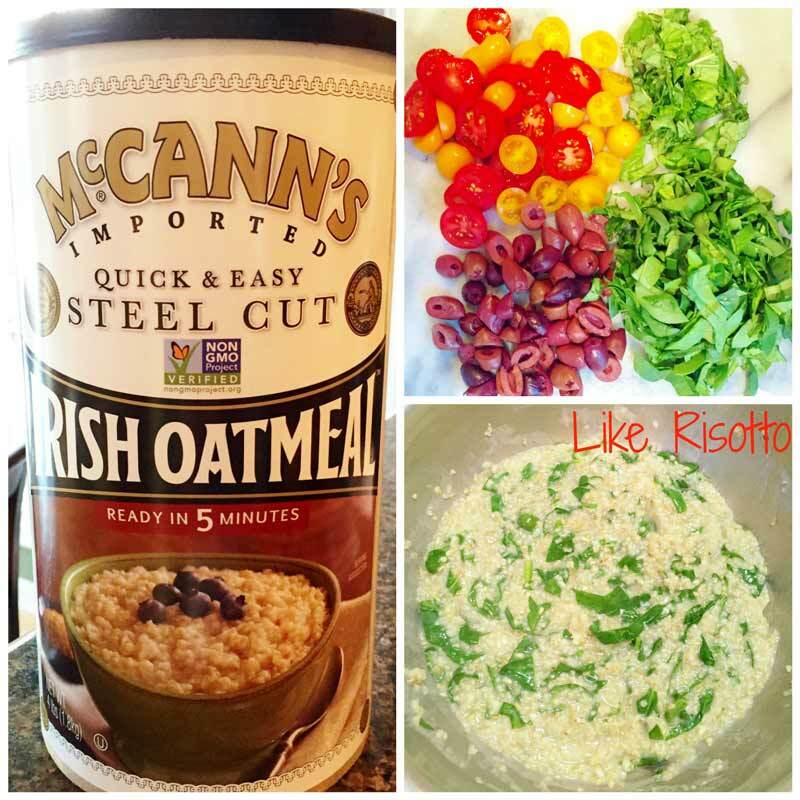 Steel cut oats have a nice chewiness that goes so well with the olives and spinach. You could try making it with regular oats, but I just don’t think it would taste as good. There are only six ingredients in this dish. Steel cut oats, spinach, tomatoes, Kalamata olives, basil, and a pat of vegan butter. I’m not counting the water for the oats or the salt as ingredients because I’m going to assume that you always have those two things on hand. 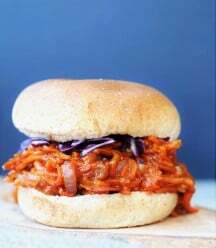 It’s so easy to make and even easier to eat, because it’s sooo good. Think of the oats as a breakfast risotto. That’s what their chewy texture reminded me of. 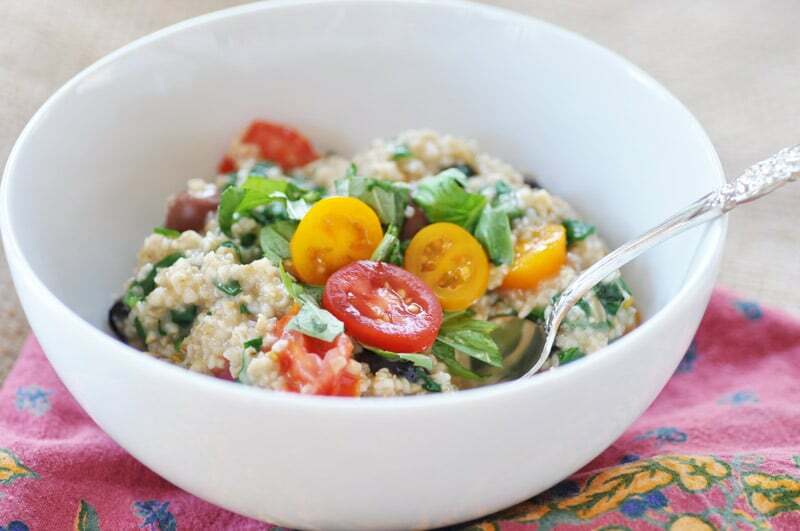 The salty olives, and the sweet tomatoes, combined with the peppery fresh basil, and the mild spinach leaves stirred into the creamy and chewy oats was a flavor marriage made in heaven. Before I went vegan I loved having a Mediterranean omelet on Sunday mornings. Once I went vegan I substituted extra firm tofu for the eggs and made scrambles instead, like this. As much as I love those scrambles, I’m so happy that the Breakfast King gave me another option for the Mediterranean ingredients that I love so much. 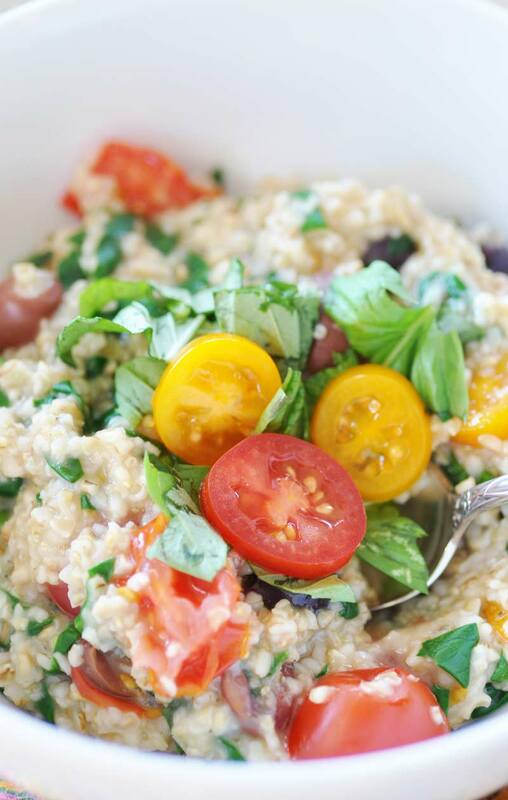 This savory vegan Mediterranean oatmeal is so easy to make. All you need to do is bring 2 cups of water to a boil, then add the oats and sea salt (optional) and reduce the heat to a simmer. Stir the oats occasionally until they start to thicken. Once they resemble the consistency of risotto add the chopped spinach and stir it in until it’s wilted. Add the tomatoes and olives and stir them in. When they’re warm add the vegan butter (optional) and stir until it melts. Add half of the basil and stir it in. That’s it. Serve it in a bowl and top with the other half of the basil. Let’s talk about the vegan butter—I use Earth Balance Soy Free. I know that there are a lot of people who don’t like adding oil to their food, and vegan butter is essentially oil. If you refuse to add the tiny bit of vegan butter that’s in this recipe, no worries. Just know that it adds a wonderful taste and feel to the dish. 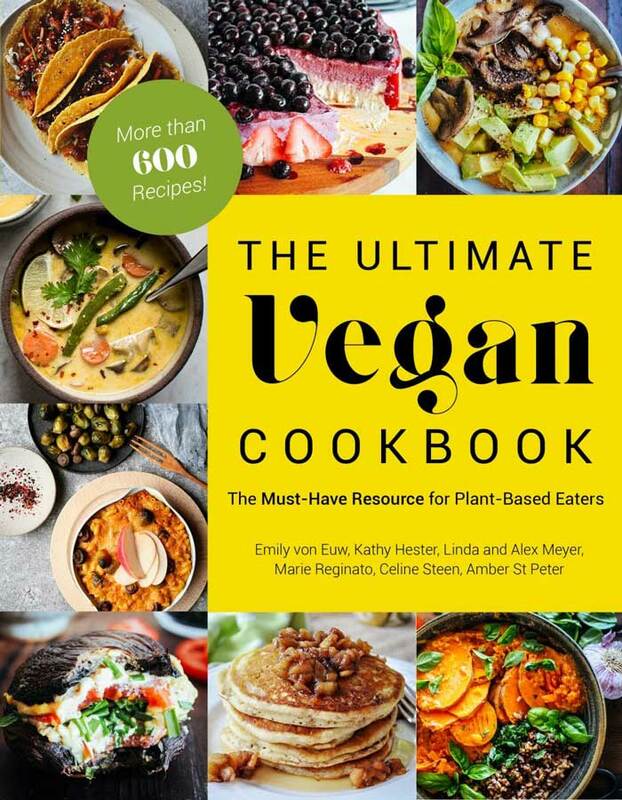 If you’re on the fence I’d say that you should lean toward the addition of the vegan butter. The same goes for the pinch of sea salt. It adds something to the recipe. If you’re craving a healthy, warm, savory breakfast that has amazing flavors and texture you have to make our savory vegan Mediterranean oatmeal. Make a big batch and keep it in an airtight container for up to four days. This isn’t just for breakfast either, eat if for lunch or dinner. It also makes a great mid-day energizing snack. Spinach: anti-inflammatory and anti-cancer benefits, antioxidants, excellent source of vitamin K and A, manganese, folate, magnesium, iron, copper, B vitamins, and more. Kalamata olives: contain healthy fats, antioxidants, anti-cancer benefits, great source of copper, iron, fiber, and vitamin E.
Tomatoes: Superior antioxidants, anti-cancer benefits, support bone health, support the cardiovascular system, great source of vitamin C, biotin, molybdenum, vitamin K, copper, potassium, and more. Basil: DNA protection and anti-bacterial properties, anti-inflammatory benefits, nutrients essential for cardiovascular health, excellent source of vitamin K and other vitamins and minerals. As you can see, this savory vegan Mediterranean oatmeal is more than a pretty and delicious meal, it’s also incredibly good for you. 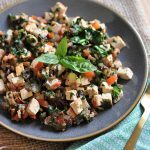 The spinach, tomatoes, and basil provide you with a ton of vitamin K. And between all five of the ingredients you get vitamin A, E, C, B, iron, folate, manganese, potassium, and so many other vitamins and nutrients. Not to mention the healthy benefits that they all provide in terms of anti-inflammatory, anti-cancer, cardiovascular, and other benefits. 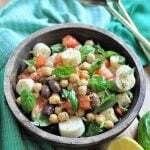 This is one beautiful and yummy dish that will make you feel good in more ways than one. Make it ASAP! Then come back and let me know what you think. Have you ever made a savory oatmeal? 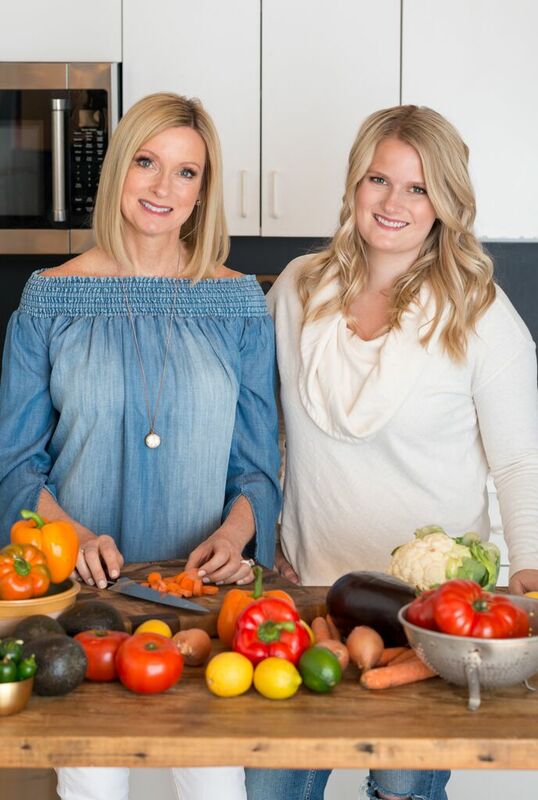 Do you love Mediterranean food as much as I do? Is it freezing where you live too? 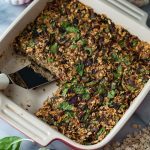 This savory, creamy, delicious breakfast treat is mad with steel cut oats, spinach, tomatoes, olives, and basil. Bring the water to a boil in a medium sauce pan. Stir in the steel cut oats and salt and reduce the heat to simmer. Stir occasionally until the oats thicken and resemble a risotto like texture. Approximately five minutes. Add the spinach and stir into the oats. Cook until wilted. Approximately two minutes. Add the tomatoes and olives and stir to combine. Cook until warmed through. Approximately 2 to 3 minutes. Add the vegan butter and stir until melted. Add half of the basil to the pan and stir until combined. Remove the pan from the heat and serve in bowls. Garnish with the other half of the basil and grind black pepper on top if desired. NOTE: Adding the vegan butter and salt enhances the flavor of the dish. I would only leave it out if you have a dietary restriction. You;re reading my mind!!! I've been wanting to do a savory oat recipe and eat it as a side for dinner...this may be the place to start ;) And Mediterranean food is fantastic!!!! The flavors just scream FRESH! This sounds wonderful! Never tried savory oatmeal, but we had savory Asian congee as part of the breakfast buffet on the vegan cruise that was fabulous. So I need to try this too, thanks! I hope you try it, Christine. It's really good. Make it for dinner if you want, it works for any meal. Haha! You can eat it for dinner too, Natalie! I was a little taken aback when my husband suggested it, but one bite and I was hooked. Thanks so much! I keep on meaning to try a savoury oatmeal dish, I can't believe I still haven't! 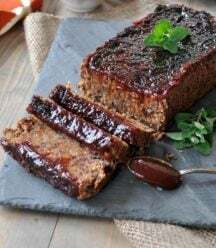 This recipe sounds amazing Linda, especially with the mediterranean flavours so I'm definitely going to have to make it - I can't wait to taste it! 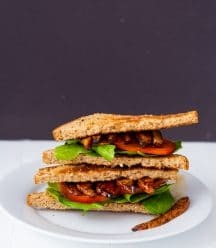 I transitioned into a Vegan lifestyle in December of 2015, and will definitely be adding this to my breakfast rotation! Thanks for sharing this one! Hi Tonya! That's awesome, I bet you feel great. 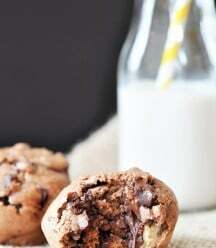 :) I'm so happy you like the recipe. Please come back and tell me what you think about it. Linda, this is an apt post. I have been on oats diet(breakfast, dinner) recently and I've been making a lot of Indianian flavored oats. This is such a treat for someone like me. Will definitely try it out. Thank you, Jyothi. I knew you'd like this because it's savory. Let me know what you think. You are a smart one, Rachelle. :) It really does mimic risotto, as long as you use steel cut oats. Lucky indeed! Oh my gosh!! This looks amazing! What a fun take on oatmeal! 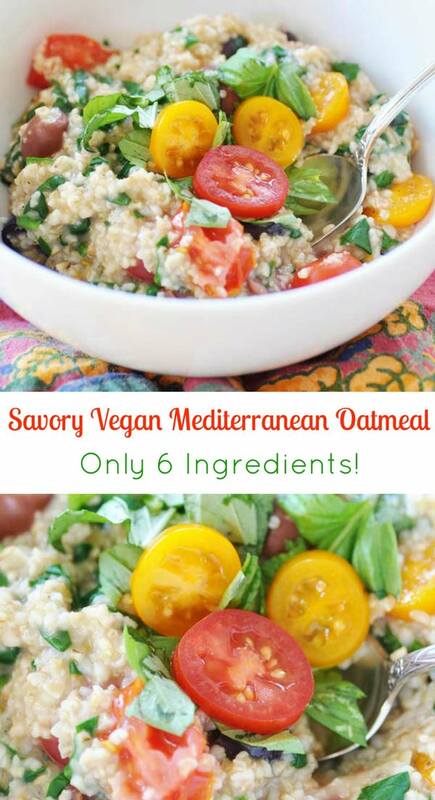 I have had savory oats before... they're delicious! One time I made salmon and we didn't have rice in the house so I figured I'd try oatmeal and add some salt and pepper... delicious! Then I remade it for breakfast a couple times! YUM! 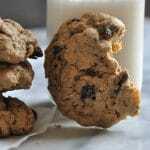 I used to use oats and oat flour in tons of savory things—I always loved their gentle flavor and their ability to boost binding. 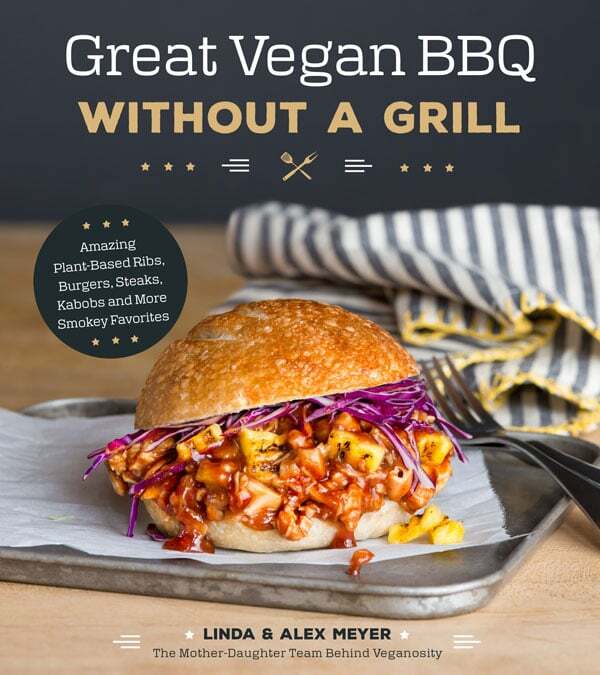 But I let them drift aside while I explored some of the other fun options I’d been ignoring during my first several years as a vegan (hi, vital wheat gluten). This is a great reminder that the old standbys shouldn’t be forgotten. Thanks thanks thanks. I've received a few nice emails on this, Ralph. Readers? Can you let Ralph know what you think? Replying to your comment much earlier in the year....YES, I make this on a regular basis. I really enjoy a savory breakfast and this recipe hits the spot. My only suggestion on the recipe is to spread the spinach over the oats and cover the pan, allowing the spinach to wilt before uncovering and stirring in the tomatoes and olives. 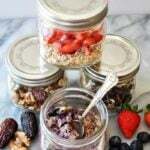 I am not an oatmeal fan in general, butI am trying to add more variety to my breakfasts. I just made this and it was great. Loved the combination of flavors and the steel cut oats have a nice consistency. Will definitely make it again. Thank you! Hey Allison, Thanks so much for your comment! We totally get that a lot of people aren't super into oatmeal which is why we put so much effort into making this recipe as delicious as possible. We're so glad to hear that you loved the oatmeal and plan on making it again!